On 18 October 2018, the University of Ghana hosted a Resilient Peace workshop in Accra, Ghana, on “Building a resilient peace in West Africa”. Over 60 researchers, students, civil servants and political actors attended the Resilient Peace workshop, hosted on 18 October 2018 in Accra, Ghana, on “Building a resilient peace in West Africa”. The workshop was composed of two panels. After a welcome address from Dr Ana Juncos (University of Bristol), the first panel featured research papers on the theme, which were presented by Prof Jonathan Joseph (University of Sheffield), Dr Ryerson Christie (University of Bristol), Dr Gilberto Algar-Faria (University of Bristol) and Mr Muhammad Dan Suleiman (University of Western Australia). These papers were then discussed by Dr Peace Medie (University of Ghana). The second panel was chaired by Prof Ransford Gyampo (University of Ghana) and focused on the policy implications, featuring interventions by Prof Esi Sutherland-Addy (FAWE, University of Ghana), Mrs Levinia Addai-Mensah (WANEP), Dr Festus Aubyn (KAIPTC) and Dr George Akuffo Dampare (Commissioner of Police, Ghana Police). GhanaWeb, “Centre for European Studies holds workshop on resilient peace“, 19 October 2018. 3news, “Scholars, political actors & others discuss ‘building resilient peace’ in West Africa“, 22 October 2018. Title photo caption: Audience at the Resilient Peace workshop in Accra, Ghana, 18 October 2018. 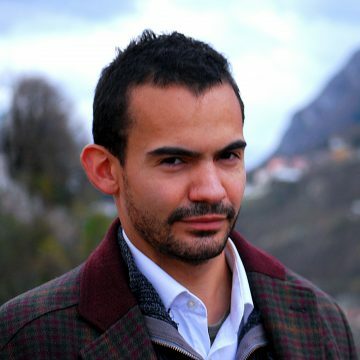 Dr Gilberto Algar-Faria is the Co-Investigator and Consortium Manager for Resilient Peace, and a Senior Research Associate at the University of Bristol’s School of Sociology, Politics and International Studies. He is also the Project Officer for the Horizon 2020 project EU-CIVCAP. Can’t find who or what you’re looking for? Resilient Peace has received funding from the Worldwide Universities Network’s Research Development Fund. The content reflects only the authors’ views; the University of Bristol and the Worldwide Universities Network are not responsible for any use that may be made of the information it contains.